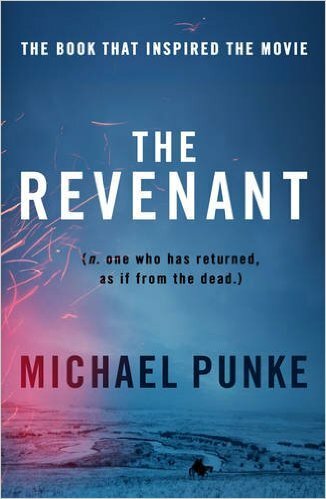 The Revenant by Michael Punke is the novel that inspired the award-winning film of the same name, featuring Leonardo Dicaprio and Tom Hardy. With the film already achieving multiple Golden Globes and tipped for Oscar success can the novel live up to the hype? By 1823 tracker Hugh Glass is already a well-established hunter but after a horrific mauling his team leave his barely breathing body behind with two of their men. Why two other men? So they can do the honourable thing and bury his body when the inevitable happened and he passed away. But when the two men hear strangers approaching they fear for their lives and abandon Glass, worse than that they take his kit and leave him on the brink of death and completely defenceless in the harsh wilderness of the Rocky Mountains. Against all odds Glass survives the brutal attack, only to find himself severely injured, all alone and without any supplies to help him survive. Once he realises how desperate his situation truly is he narrows his sights to two targets, he must survive and then he’ll seek his revenge on the men that left him for dead. After only a handful of pages, it’s easy to see why The Revenant captured the attention of Hollywood. Based on a true story, Punke captures the harsh environment with incredible speed, as well as creating a handful of very distinct characters in a short amount of time. The descriptions of Glass’ wounds are graphic, not in an overly gory fashion but enough to leave you with no doubt that he would never be the same again. I was prepared for an interesting story but I wasn’t expecting to become so fully immersed in this revenge tale that I whipped through it in two days. Brutal and gripping, The Revenant is an incredible novel of survival and revenge that will leave you pondering your own survival skills, a historical page-turner that I highly recommend.